Cheating. It’s prominent in all sports, but probably most of all in baseball. There are several ways to do it, whether it involves scuffing up a baseball to make it move, using a foreign substance on the ball, corking a bat, or stealing signs and relaying them to the batter. When it comes down to it, a ton of players have been caught cheating in some form or another — it doesn’t matter if you’re a pitcher or a hitter. Here are 25 past instances of players caught red-handed. “Pine tar is accepted practice for pitchers,” Scioscia said after the game, which the Nationals won, 6-3. “Pine tar is not doctoring the ball; it’s just giving you a normal grip for guys who sweat a lot if it’s cold.” Despite Scoscia’s objections, and as you’ll see as you read on, pitchers aren’t legally allowed to utilize pine tar, even for simply getting a better grip on the baseball. 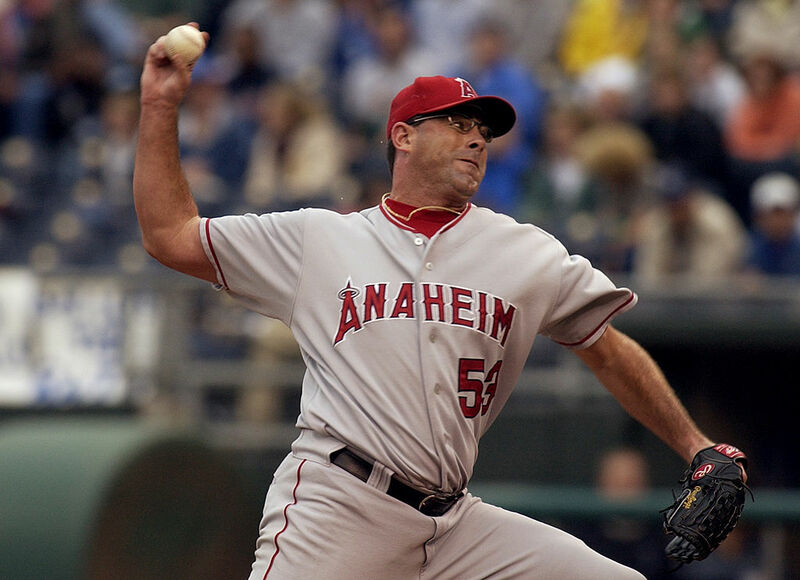 Next: Another pine tar incident made headlines in 2004. 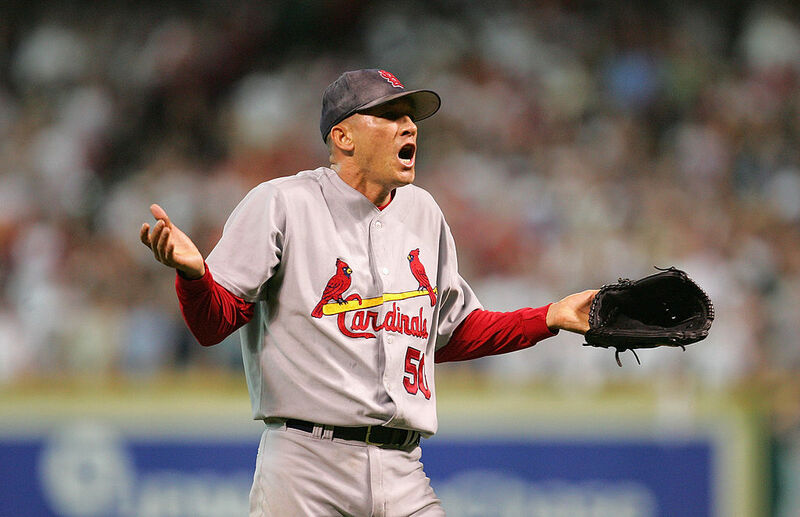 Another pine tar incident comes from former St. Louis Cardinals reliever Julian Tavarez. 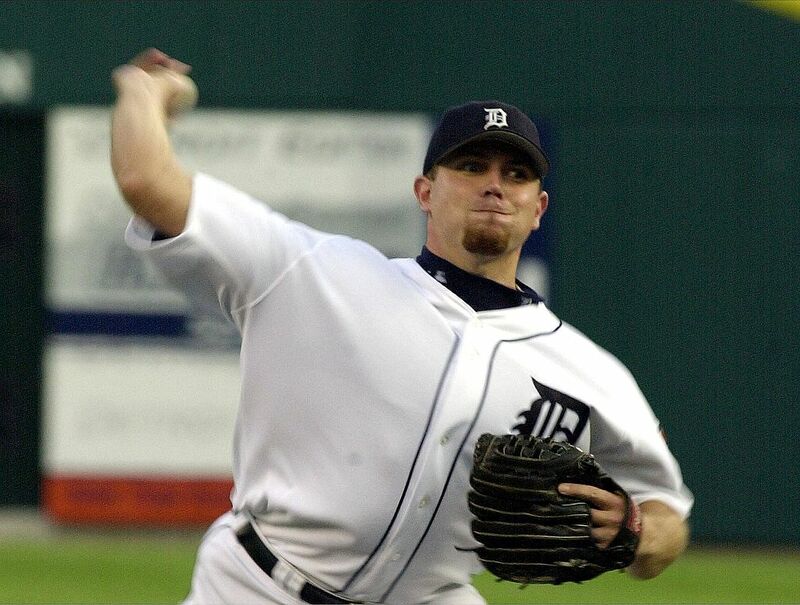 In August 2004, Tavarez was pitching during a double-header against the Pittsburgh Pirates. He wouldn’t last long, as home-plate umpire Ron Kulpa went out to the mound to question the pitcher over his filthy hat. While Tavarez publicly denied pine tar was on his hat, Kulpa commented that manager Tony La Russa basically admitted it. And this made it more interesting: Tavarez had pitched for the Pirates in 2003, just the year prior. If anybody knew that Tavarez had pine tar in his hat, it was probably his former team. Next: Pine tar seems to be the cheating method of choice. 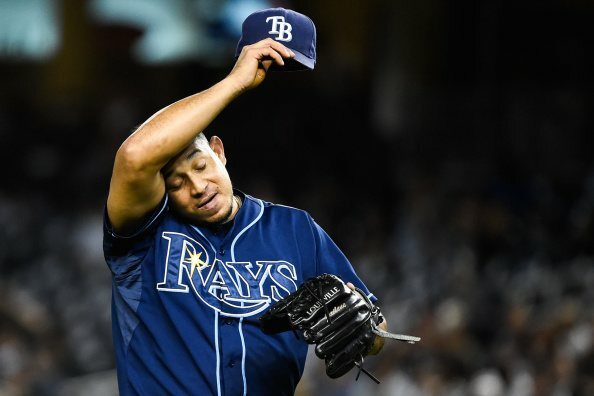 Yet another pine tar incident involved Tampa Bay Rays reliever Joel Peralta in 2012. The Washington Nationals were again the opposing team making the accusation, and once again it came from the fact that the player (Peralta) had pitched for the team and they had intimate knowledge of his regular routine and practices. Before he even threw a single pitch in the eighth inning, the umpires visited the mound to inspect Peralta’s glove. Sure enough, there was pine tar. They ejected Peralta, who received an eight-game suspension. Next: This sneaky bat trick didn’t do well for this player. It’s not just pitchers who get caught cheating, though. 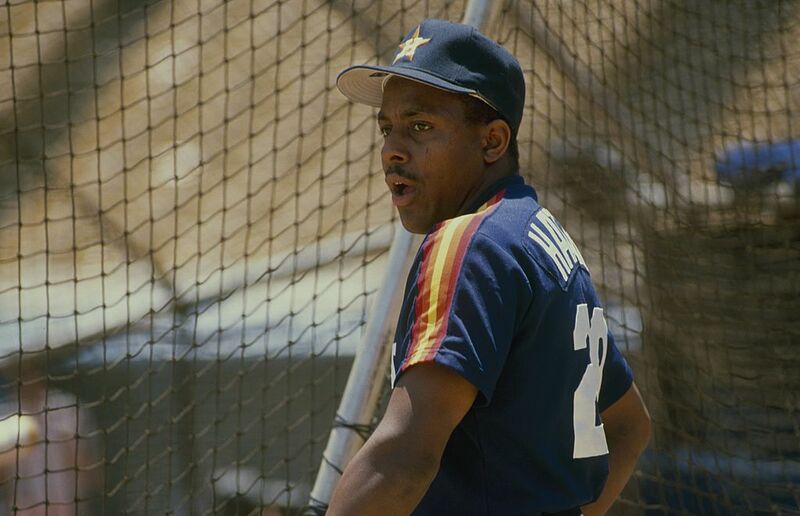 Back in September 1987, Houston Astros outfielder Billy Hatcher shattered his bat on what would’ve been an infield single against the Chicago Cubs — incidentally, his former team. The Cubs correctly pointed out that the inside of Hatcher’s bat had a hollowed out portion filled with cork, a practice that theoretically helps hitters. 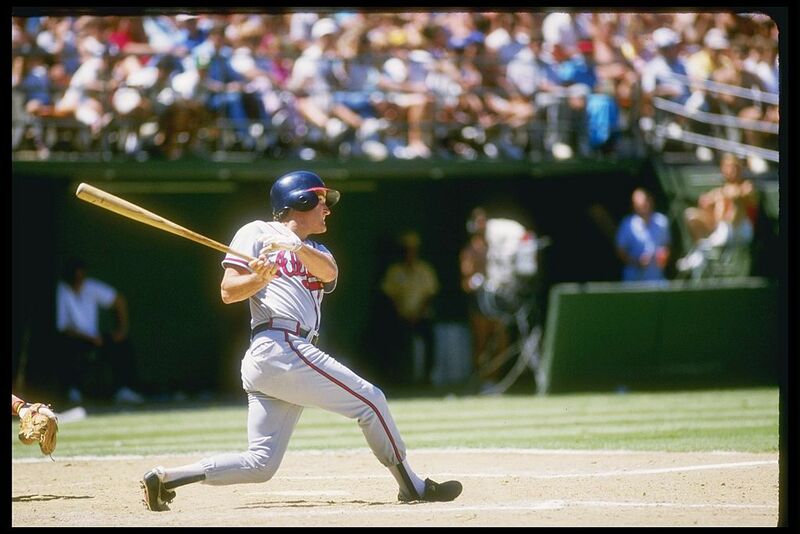 Hatcher was ejected from the game, and ’87 ended up being his best year at the plate. So maybe it helped? Next: This player was caught cheating twice in a matter of weeks. Fool me once, shame on you. Fool me twice? Then you’re probably Michael Pineda. Back in April 2014, Pineda started a game against the Boston Red Sox in which the Boston television crew caught that Pineda had pine tar not-so-discreetly on the palm of his pitching hand. 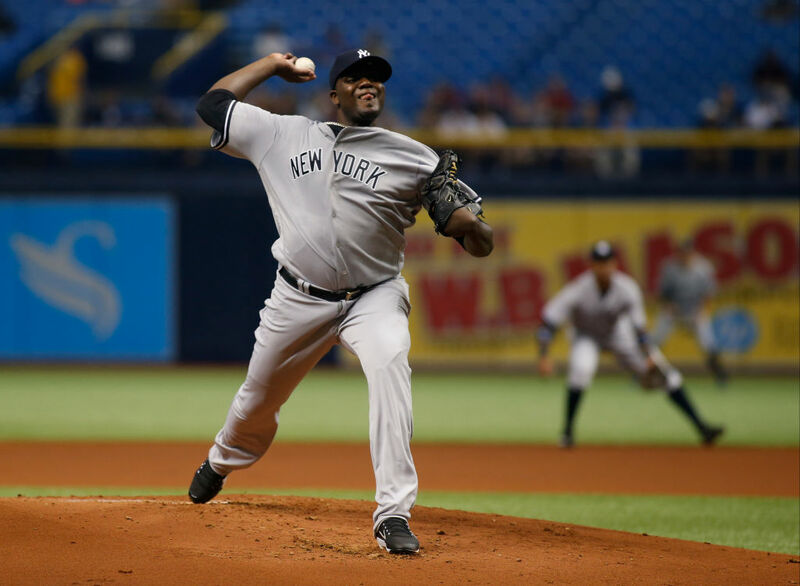 But that wasn’t enough for Pineda, who faced the Red Sox again just a few weeks later. This time, he went ahead and put it on his neck, and the Red Sox called him out on it. He was ejected from the game in the second inning — putting stress on the Yankees bullpen — and slapped with a 10-game suspension. Next: This player got caught during a big game. 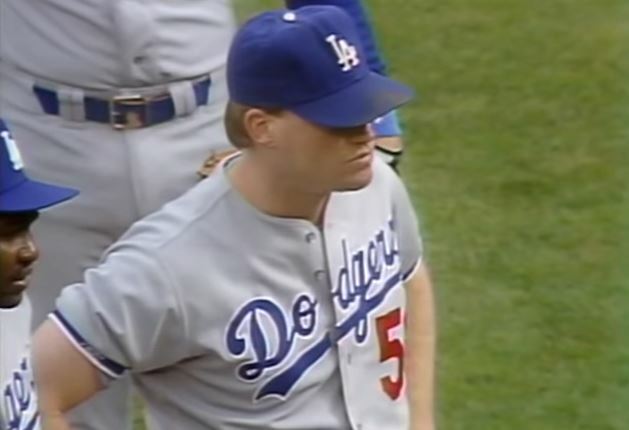 In one of the more high-profile cases of a pitcher being caught cheating, Los Angeles Dodgers pitcher Jay Howell was tossed in the eighth inning of Game 3 of the 1988 NLCS against the New York Mets. He had pine tar in his glove, and he barely put up a fight as he was run from the game. The Dodgers had a 4-3 lead at the time, and three more relievers would be needed to get out of the inning as New York scored five runs to steal the game, 8-4. Fortunately for the Dodgers, they still won the series over the Mets and then later the World Series. Next: This cheating method was meant to alert the batter about the upcoming pitch. After taking a 16-7 beating at the hands of the Toronto Blue Jays, New York Yankees catcher Russell Martin lamented that he felt the Jays were stealing signs early on. This process is generally when a runner gets to second or third base and looks in on what numbers the catcher is flashing to the pitcher, then uses a system to relay the information to the hitter. The Jays dropped eight runs on Yankees starter Bartolo Colon, and Martin pointed to several cheating Blue Jays players, including Aaron Hill, as the reason. Interestingly enough, former Blue Jays catcher Gregg Zaun basically admitted they stole signs during his stint with the team. Next: This former Yankee got caught in an embarrassing way. That’s what they all say, Graig. Next: Here’s another bat trick that didn’t end well. 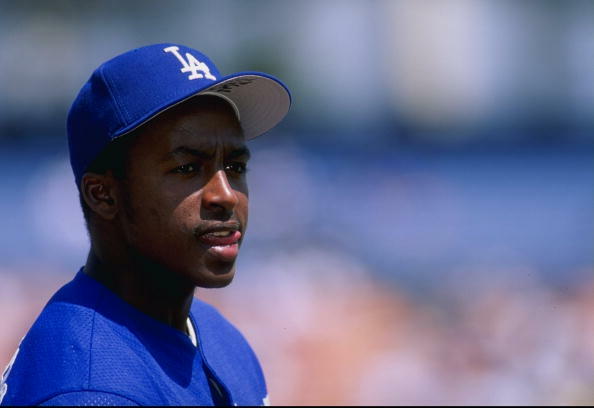 Back in 1997, Los Angeles Dodgers second baseman Wilton Guerrero — the lesser-known brother of Vladimir Guerrero — got busted using a corked bat during a game against the St. Louis Cardinals. Although Guerrero claimed it was his first time using a corked bat, he certainly couldn’t claim innocence on the instance. As soon as the bat shattered, he scrambled to pick up pieces of the bat rather than running down to first base — a pretty big clue that something wasn’t right. Officials quickly discovered the evidence and ejected Guerrero from the game. Next: The bat boy may be to blame for this one. After breaking his bat on a foul ball down the third base line, Cincinnati Reds third baseman Chris Sabo had the bat boy bring him some new lumber. It ended up being a fateful replacement. Two swings later, Sabo’s bat split in half as he popped out to the shortstop. Officials could clearly see a chunk of cork in a hollow portion of Sabo’s bat, and they ejected him from the game. This, as it turned out, was Sabo’s fourth-to-last game of his career. Next: This player got caught but got away with it. Back in 2013, the Boston Red Sox faced the St. Louis Cardinals in the World Series. 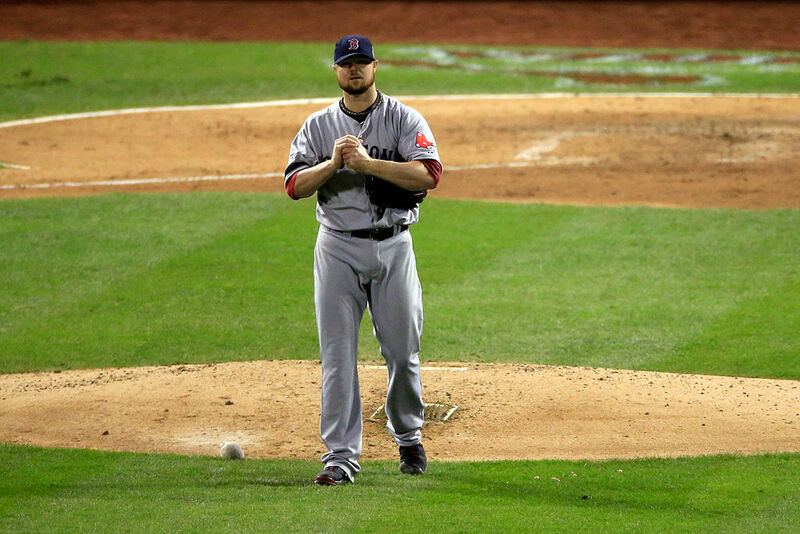 Jon Lester started Game 1, which ended as an 8-1 Red Sox victory. But the Cardinals weren’t happy with what they saw afterward, which appeared to be Lester using some unknown substance in his glove. Cardinals minor-leaguer Tyler Melling took a screenshot and called out the Boston left-hander on Twitter. It certainly appeared like something — Vaseline, pine tar, etc. — was in Lester’s glove. He never technically got caught, officially, and ended up with a 0.59 ERA in 15 1/3 innings over two games. Boston won the series in six. Next: This pitcher was caught in the act. 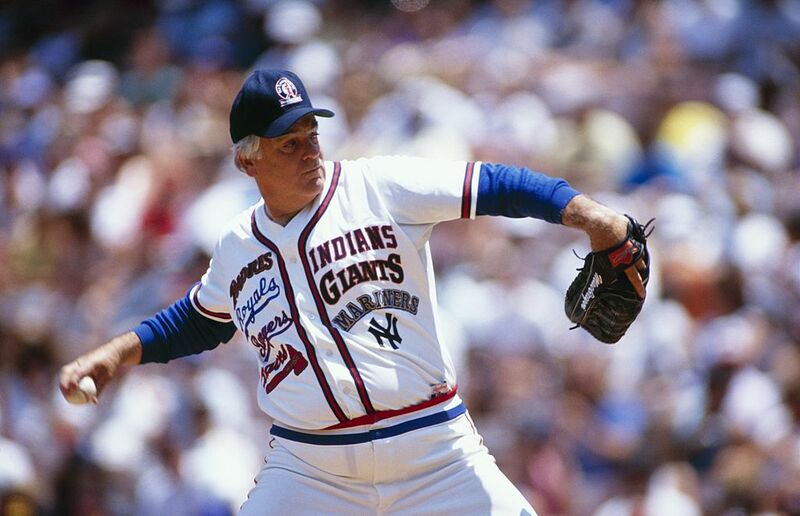 While pitching against the California Angels in August 1987, starting pitcher Joe Niekro was caught red-handed. Then with the Minnesota Twins, Niekro looked surprised when the home plate umpire came out to inspect his glove. 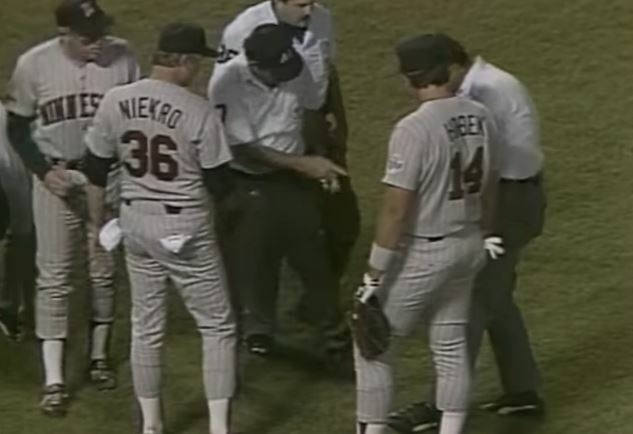 There was some suspicion that Niekro could be doctoring the ball, and that was furthered when the ump asked Niekro to toss him the baseball and the pitcher threw it away into the dirt. After finding nothing in his glove, Niekro made one final attempt to get away with his crime: He turned his pockets inside-out, attempting to throw away the emery board hiding in his back pocket in the process. It didn’t work, and he was ejected. Next: This player’s whole team tried to hide his cheating to no avail. The team sent relief pitcher Jason Grimsley to retrieve it by climbing through the locker room’s drop ceiling with a flashlight in his mouth, lowering himself into the ump’s dressing room, and replacing Belle’s bat with teammate Paul Sorrento’s (since all of Belle’s bats were corked). 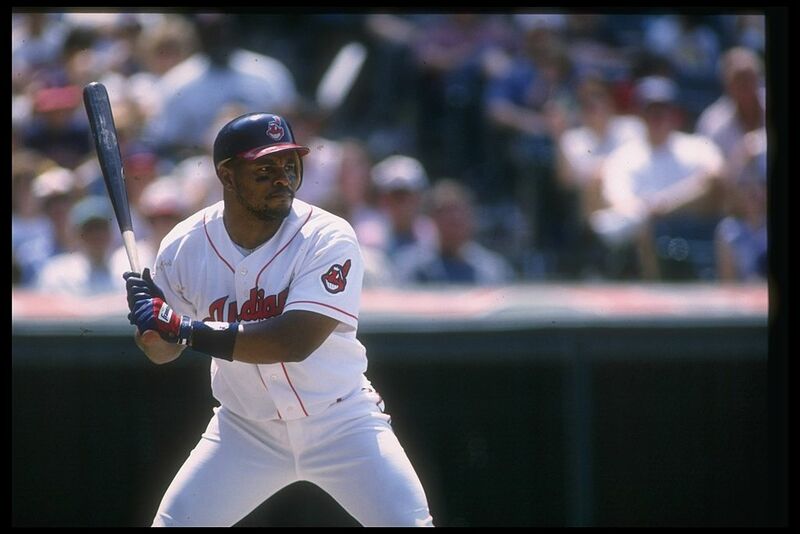 But as Grimsley, later popped for steroid use, was neither light nor nimble, he left behind enough broken ceiling tiles that the MLB investigated the matter and eventually suspended Belle for seven games. Next: This pitcher hid sandpaper in his glove. 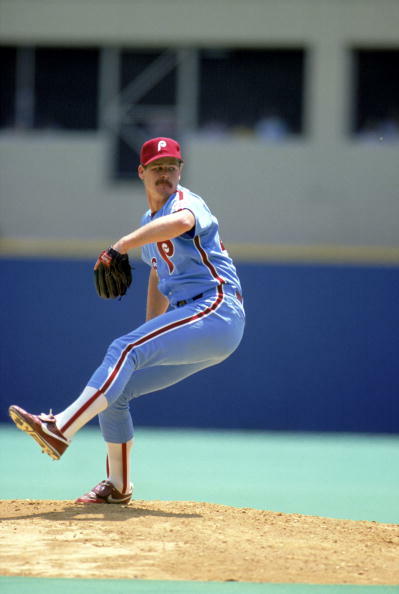 Yet another 1987 incident with a pitcher involves Philadelphia Phillies starter Kevin Gross. Playing against the Chicago Cubs, Gross was approached by the home plate umpire for yet another surprise glove inspection. As it turns out, Cubs manager Gene Michael suspected that Gross was doctoring the ball with something and decided that now was the time to send an umpire out to check on him. Turns out, Michael was right. The official found sandpaper inside the pitcher’s glove and kicked Gross out of the game. Gross argued afterwards that he hadn’t actually used it, but that didn’t save him from a 10-game suspension. Next: Another infamous pine tar situation. 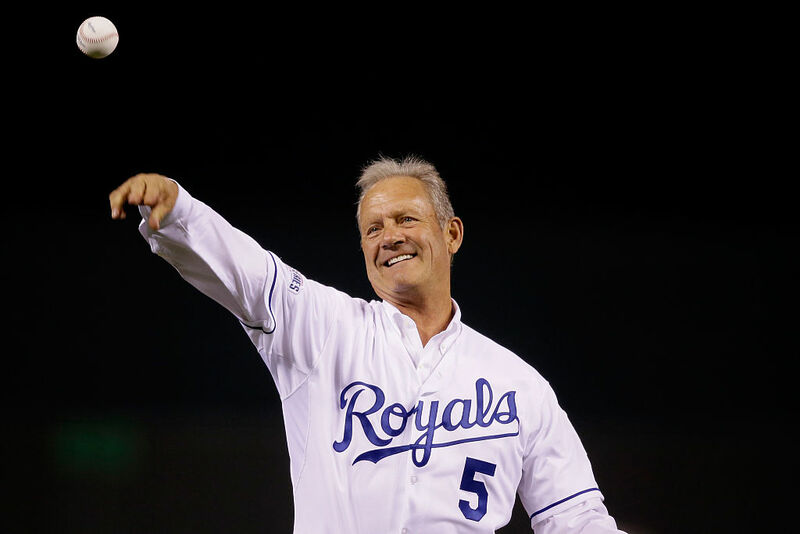 Probably the most infamous pine tar situation in MLB history involves George Brett. The Hall of Famer from the Kansas City Royals is a rare hitter who was ejected for misuse of pine tar. During a game in 1983 against the New York Yankees, Brett hit a home run to give the Royals a 5-4 lead with two outs in the top of the ninth inning. But Yankees manager Billy Martin came out to argue that Brett had put pine tar too far up on his bat; with an unofficial measurement the umpires agreed. They called out Brett, and chaos ensued. The end result: The game was replayed from that point forward with the home run counting, so all’s well that ends well. Next: This championship cheating scandal had everyone heated. Scott was never officially caught, although he did admit to the deed years later. But the Mets can’t complain too much because, you know, they won the World Series. Next: Everyone knew this player was cheating. Hall of Fame pitcher Gaylord Perry was actually quite famous for using a spitball. The concept is simple: Use your own saliva (or another substance) to make the ball move in an unnatural way. This, of course, is against the rules. But Perry didn’t care, and for the majority of his career no one actually caught him in the act. That is, until 1983. With Perry on the mound, the Boston Red Sox asked the umpire to check him. While nothing directly was found on the pitcher, he was holding a baseball that was clearly rubbed with Vaseline. At least his reputation wasn’t harmed in any way; everyone knew he was doing it. Next: This player still denies he cheated. “There was nothing there. It was dirt,” Moehler said. “I don’t know if other guys do it or not, but I was rubbing the ball like I always do. These three fingers get the dirtiest, but the ump said he saw something.” Moehler was still slapped with a 10-day suspension by Major League Baseball. Next: This pitcher had a tricky way of cheating. 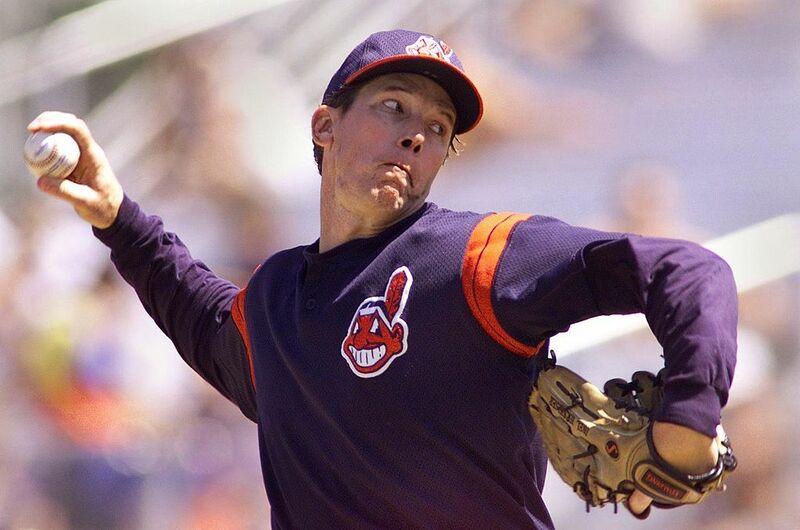 In 1997, 39-year-old pitcher Orel Hershiser was having a great playoffs for the Cleveland Indians. 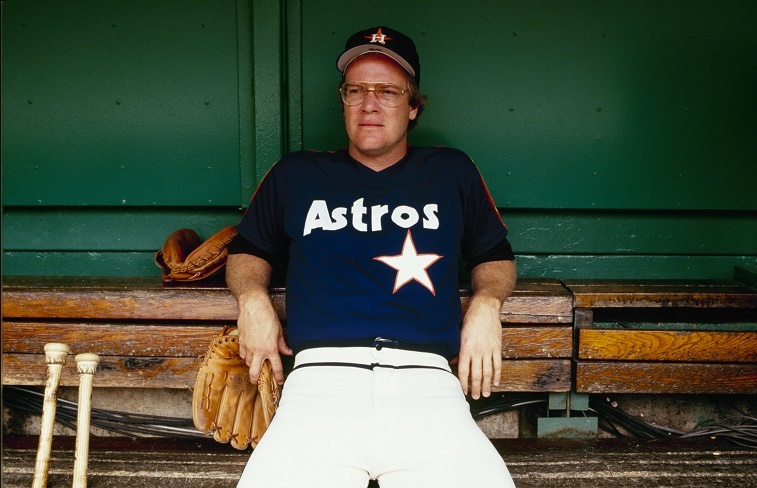 In the ALCS against the Baltimore Orioles, he threw seven shutout innings with seven strikeouts in a crucial, Game 3 victory. Orioles manager Davey Johnson mentioned that he believed Hershiser poured water down his back in between innings, essentially to have the ability to throw a spitball without actually having to touch his mouth. Hershiser denied it, but his teammate Chad Ogea basically busted him for cheating anyway. Next: This player had a phony story to back his cheating. 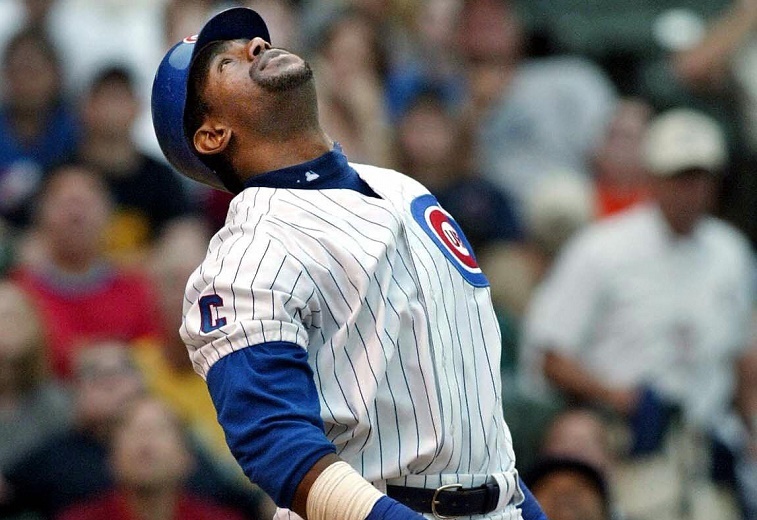 Back in 2003, Sammy Sosa started to see a decline in his statistics following an absolute tear in the middle of his career, from 1998–2002. It came to a head in June that year when the Chicago Cubs took on the Tampa Bay Devil Rays. In the first inning of the game, Sosa broke his bat on an RBI groundout. The homeplate umpire picked up the broken bat-head and immediately called the other umpires around to conference: There was cork in the bat. They ejected Sosa from the game and later suspended him. His excuse was that it was a bat he used strictly for putting on shows during batting practice, and he simply grabbed the wrong bat. We don’t buy it. Next: This cheating scandal was obvious, but he never got caught. The Lester incident against the St. Louis Cardinals in the 2013 World Series wasn’t the first time it happened in recent memory. In the 2006 World Series, Detroit Tigers pitcher Kenny Rogers seemed caught on camera with pine tar on the palm of his hand. During Game 2 against the Cardinals, Rogers ran his personal scoreless-inning streak to 23 innings while helping his team even the series. But the spot on his hand took center stage, even if Rogers claims it was only a little bit of dirt. He was never punished, although his team lost the series to St. Louis. That might be punishment enough. Next: This player expressed his anger when he was caught cheating. 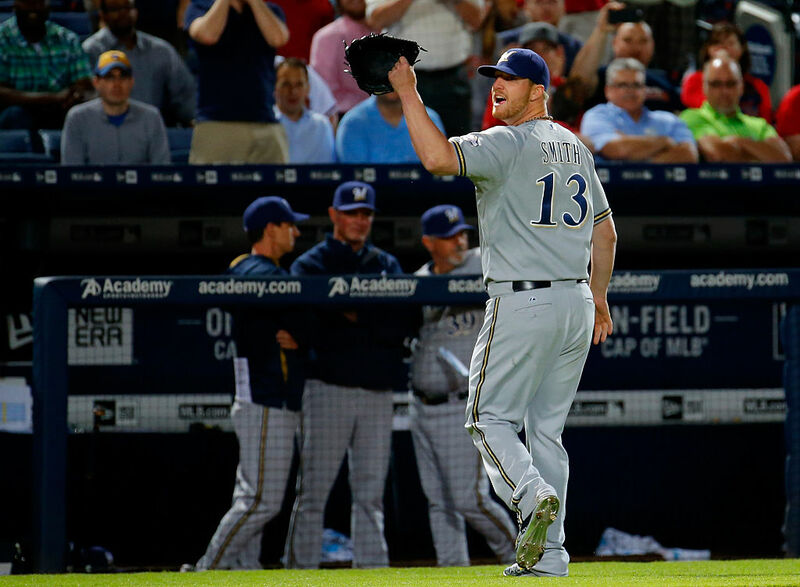 Back in May 2015, Milwaukee Brewers reliever Will Smith was getting’ jiggy with a foreign substance on his arm during a game against the Atlanta Braves. Opposing manager Fredi Gonzalez went to the home plate umpire to inform him of something the Braves saw on Smith. After a short investigation, the officials tossed the pitcher from the game. Smith didn’t care for being called out by the Braves, even though it was clear that he had something shiny rubbed on his arm. As he walked off the field, he turned a handful of times to shout obscenities in the direction of Gonzalez and the Atlanta dugout. 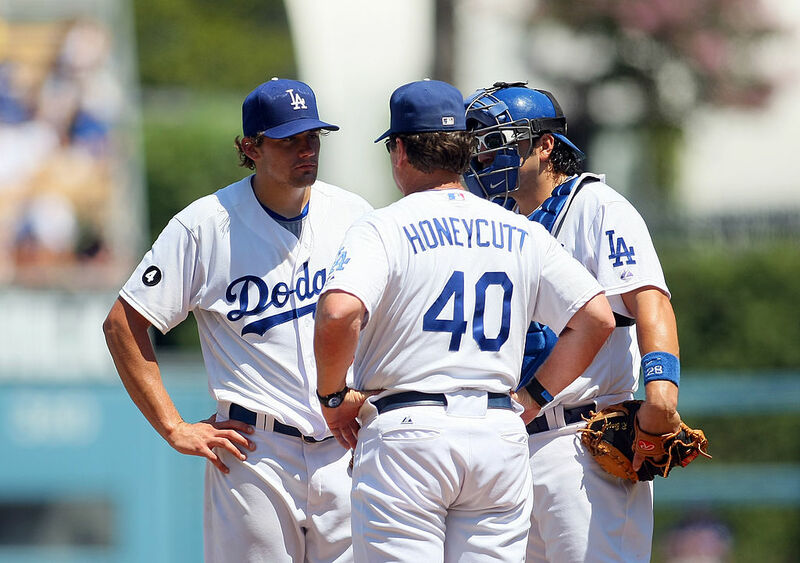 Next: This cheating scandal once again involved a pitcher. 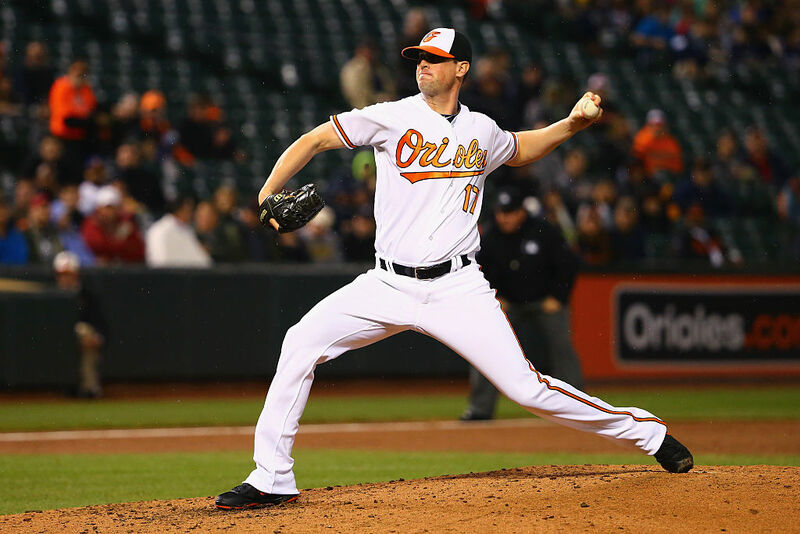 Not more than a few days after Smith’s ejection in Milwaukee, Baltimore Orioles pitcher Brian Matusz had a similar issue. Pitching against the Miami Marlins in the bottom of the 12th inning, the typical scene played out after Matusz got the first two outs. The umpires visited the mound to check the pitcher and, after a long discussion, threw Matusz out of the game. Afterward, Matusz owned up to what he did, resurrecting the debate about pitchers using substances to get a better grip and how that’s different from doctoring the ball. Next: This player tried to cheat with blood. I only did it for two pitches. If you looked at the ball, it looked like somebody tried to put the mark of Zorro on it. There were obvious marks on it. The thing was [the Kansas City Royals] got back-to-back singles on the only pitches I scuffed. They should have waited until I started getting people out. To recap, Honeycutt was caught red-handed (although the blood came from accidentally cutting his forehead, not his hand), and it didn’t even work the way he hoped it would. Next: An infamous incident of stealing signs. 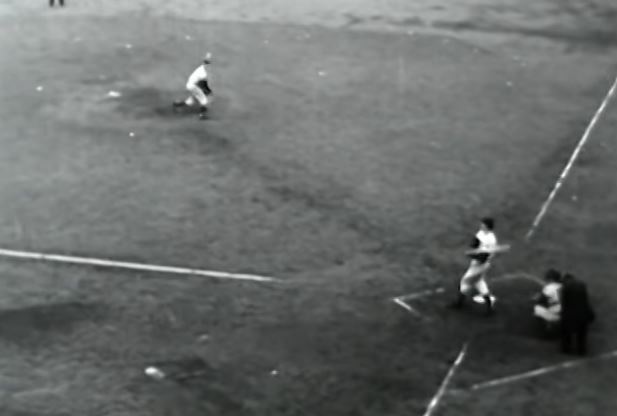 One of the greatest moments in baseball history happened on October 3, 1951, when New York Giants hitter Bobby Thomson hit the home run against the Brooklyn Dodgers that sent his team to the World Series. The call on the TV broadcast, a repeating of the phrase, “The Giants win the pennant!” is just as famous as the moment in history.